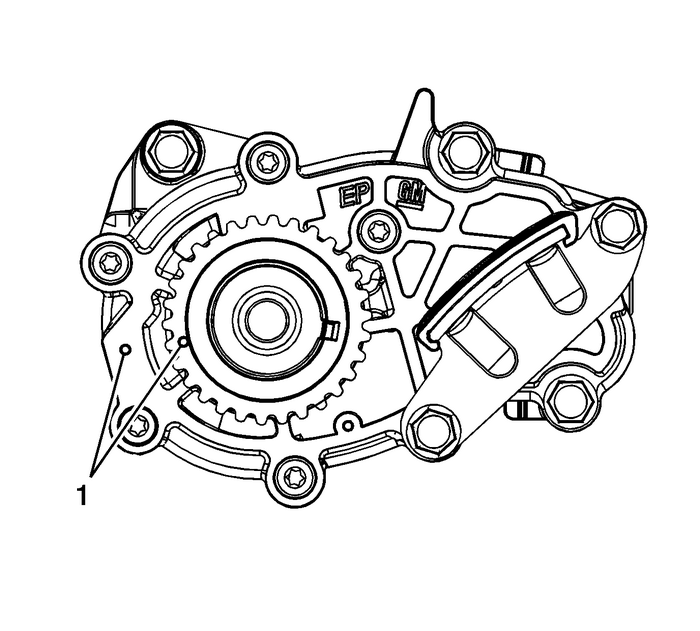 Ensure that the crankshaft is in the stage-2timing drive assembly position-(1). 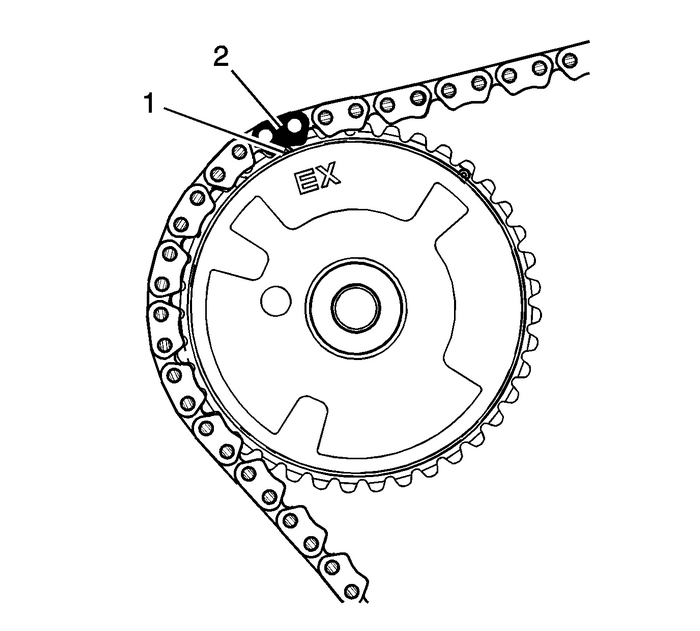 Install the right secondary camshaft drive chain. 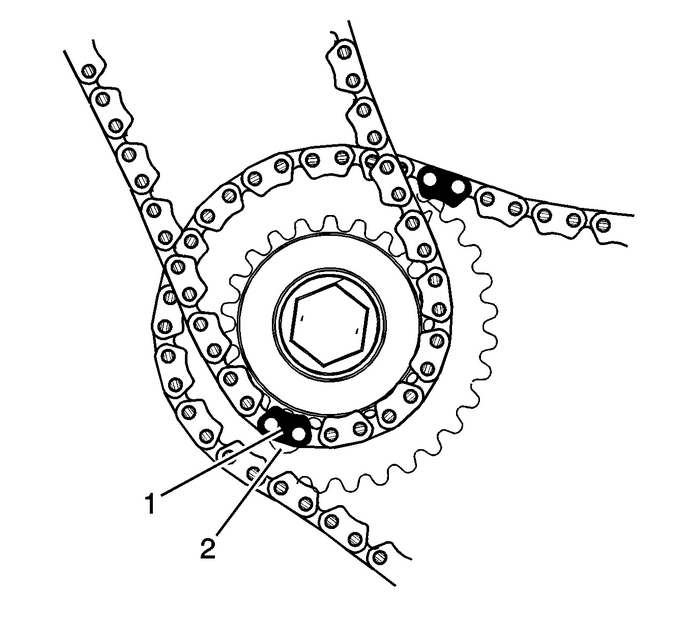 Place the secondary camshaft drive chain around the rightcamshaft intermediate drive chain idler outer sprocket, aligningthe timing camshaft drive chain link-(1) with thealignment access hole-(2) made in the right camshaftintermediate drive chain idler inner sprocket. 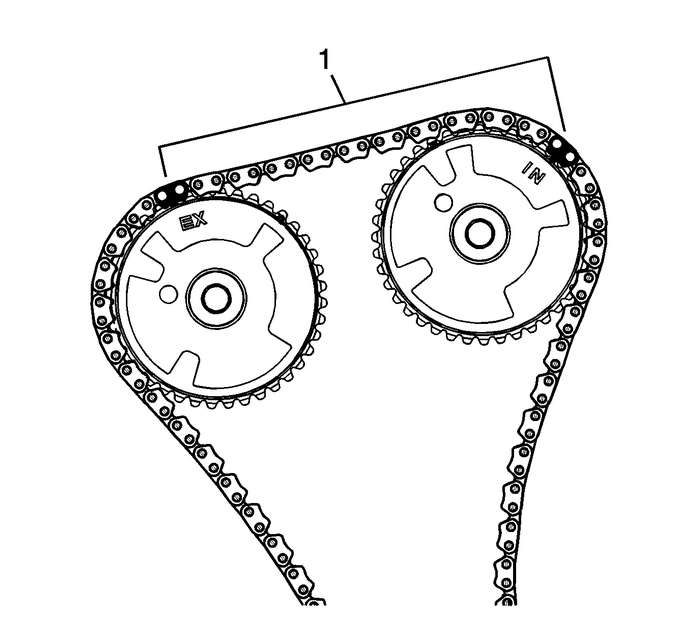 Wrap the secondary camshaft drive chain around both rightactuator drive sprockets.Ensure there are 10-links-(1) betweenthe timing camshaft drive chain links for the camshaft positionactuator sprockets. 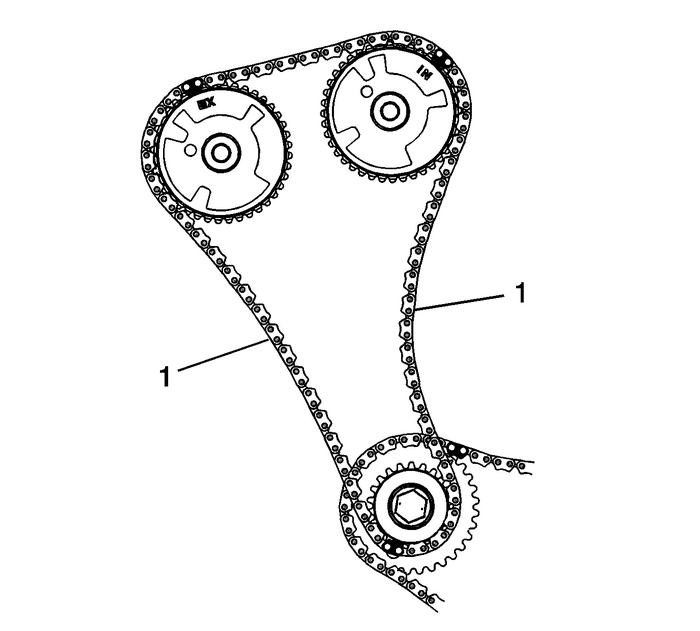 Align the right exhaust camshaft position actuator sprocketalignment triangle mark-(1) with the timing camshaftdrive chain link-(2). 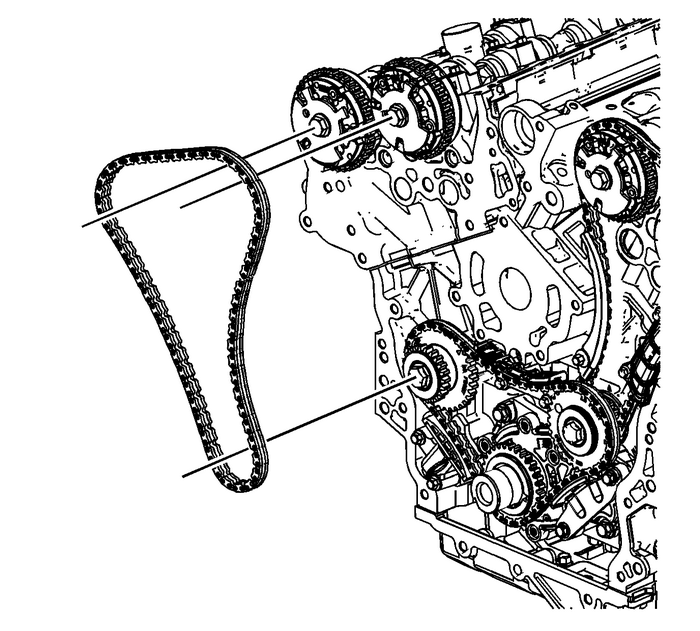 Align the right intake camshaft position actuator sprocketalignment triangle mark-(2) with the timing camshaftdrive chain link-(1). 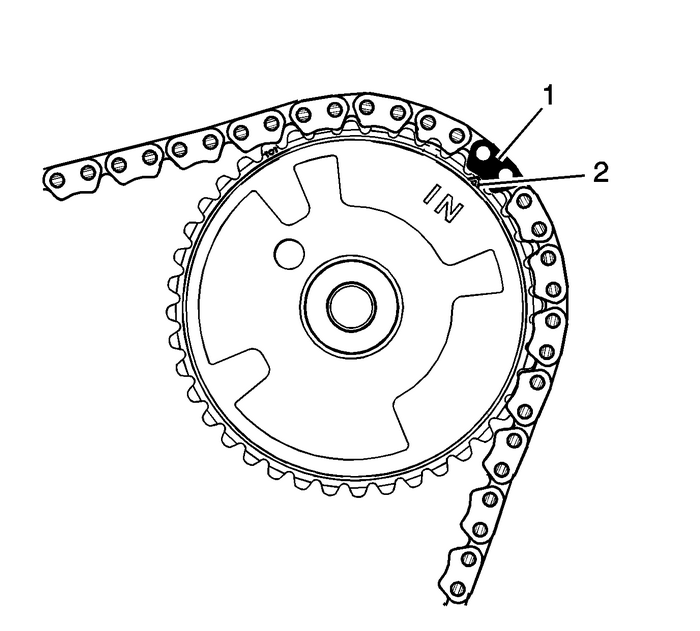 There will be 22-links-(1) between theright camshaft intermediate drive chain idler timing camshaft drivechain link and each right camshaft position actuator sprockettiming camshaft drive chain link.